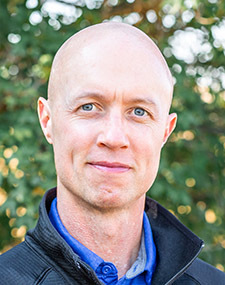 Ryan Whitby received his Ph.D. in Finance from the University of Utah in 2007. He is currently an Associate Professor of Finance in the Department of Economics and Finance at the Jon M. Huntsman School of Business. Ryan has broad research interests and has published articles in a variety of finance, real estate, and economics journals. While at the Huntsman School, he has taught Investments, Real Estate Finance, Advanced Econometrics, Equity Valuation, and the Huntsman Scholar Lab on Analytical Rigor. Whitby, R., Blau, B., (2018). Skewness, Short Interest, and the Efficiency of Stock Prices. Applied Economics, 50, 229-242. Whitby, R., Blau, B., Griffith, T., (2018). The Maximum Bid-Ask Spread. Journal of Financial Markets , 41, 1-16. Whitby, R., Blau, B., (2018). How Does Short Selling Affect Liquidity in Financial Markets?. Finance Research Letters, 25:4, 244-250. Whitby, R., Harrison, D.M, Cashman, G., Gillan, S., (2018). Network Connections in REIT Markets. Journal of Real Estate Literature, 26:1, 83-102. Whitby, R., Blau, B., (2017). Idiosyncratic Kurtosis and Expected Stock Returns. Journal of Investing, 26:4, 81-88. Whitby, R., Blau, B., (2017). Option Introductions and the Skewness of Stock Returns. Journal of Futures Markets, 37, 892-912. Blau, B., Bowles, T.B, Whitby, R., (2016). Gambling Preferences, Option Markets, and Volatility. Journal of Financial and Quantitative Analysis, 51:2, 1-26. Whitby, R., Blau, B., Hein, S., (2016). The Financial Impact of Lender of Last Resort Borrowing from the Federal Reserve during the Financial Crisis. Journal of Financial Research, 39:2, 179-206. Whitby, R., Jakob, K., (2016). The Impact of Nominal Stock Price on Ex-Dividend Price Responses. Review of Quantitative Finance and Accounting, 47, 1-15. Myers, B., Hsu, J., Whitby, R., (2016). Timing Poorly: A Guide to Generating Poor Returns While Investing in Successful Strategies. Journal of Portfolio Management, 42:2, 90-98. Blau, B., Pinegar, J.M, Whitby, R., (2015). Skewness and the Asymmetry of Earnings Announcement Returns. Journal of Financial Research, 2:Summer, 145-168. Blau, B., Nguyen, N., Whitby, R., (2015). The Distribution of REIT Liquidity. Journal of Real Estate Literature, 23:2, 233-252. Blau, B., Whitby, R., (2015). The Volatility of Bid-Ask Spreads. Financial Management, 44, 851-874. Blau, B., Nguyen, N., Whitby, R., (2014). The Information Content of Option Ratios. Journal of Banking and Finance, 43, 179-187. Schallheim, J., Wells, K., Whitby, R., (2013). Do Leases Expand Debt Capacity?. Journal of Corporate Finance, 28, 368-381. Cashman, G., Gillan, S., Whitby, R., (2013). Human and Social Capital in the Labor Market for Directors. Advances in Financial Economics, 16, 137-164. Mercer, J.M, Moore, M.E, Whitby, R., Winters, D.B, (2013). Price Discovery in the Treasury-Bill When-Issued Market. Financial Review, 48, 1-24. Wells, K., Whitby, R., (2011). Evidence of Motives and Market Reactions to Sale and Leasebacks. Journal of Applied Finance, 2, 1-14. Bizjak, J., Lemmon, M., Whitby, R., (2009). Option Backdating and Board Interlocks. Review of Financial Studies22, 4821-4847.